Alzheimer's Caregiver | You can prepare yourself to provide better care. Alzheimer’s disease and most other diseases and conditions that result in dementia are progressive in nature. Because of this you probably will not be thrown suddenly into a situation in which another person is totally dependent upon you for their care and well-being. As an Alzheimer’s caregiver you will have some time, or you have had time, to adjust and to learn your new role. This knowledge does not make the prospect or the task easier, but it does give you time to prepare. The more you learn about the disease and best care practices, the more effective will be your care. And take the time to develop a support network. Family members, professional organizations and care providers, and your faith affiliations can all provide you with much needed backup, either on an ongoing basis, or just at those times when you need help most. There are many reasons to care for a loved one with dementia at home for as long as possible. Once you have made the choice to do so, do everything you can to make yourself and your home ready so you can be be an effective, efficient carer. This website is designed to help you do just that. Use the information and the aids and the references available here to help you be the best care partner you can be. As Alzheimer’s disease progresses it slowly erodes one’s ability to communicate verbally. One of the classic symptoms of Alzheimer’s is the difficulty of ‘finding the right word’. Another is the impairment in structuring a logically sequenced sentence. You have likely experienced this first hand and understand how frustrating these impairments are for both sides of a care relationship. Don’t stop communicating. Effective communication is not always verbal. Read more about communicating with a person who has dementia. Or see our post, 5 Excellent Articles on How to Communicate with Someone who has Alzheimer’s. Sensory activities — Sensory stimulation is brain stimulation, so sensory stimulation is an important part of prolonging cognitive functioning.There is increasing clinical evidence that appropriate sensory stimulation reduces anxiety and improves the quality of interactions with care providers. A schedule that contains as much of the above list each day as possible will improve the quality of life for the one you are caring for, and in turn will provide a better quality of life for you.Practice sympathy. As difficult as your role as Alzheimer’s caregiver will be at times, it is minor when compared to the obstacles and the uncertainties and the fears of the person for whom you are caring. Many who suffer from Alzheimer’s and dementia are aware that their faculties and abilities are slipping away. What they want most is to feel needed and to know that they can still be helpful and productive members of the family or community. Rachel Mahoney, B.Sc. Hons, Ciaran Regan, M.B., Ch.B., MRCPsych, Cornelius Katona, M.D., FRCPsych, Gill Livingston, M.D. ; Anxiety and Depression in Family Caregivers of People With Alzheimer Disease: The LASER-AD Study. International Journal of Geriatric Psychiatry, September 2005,Volume 13, Issue 9, Pages 795–801. H. Lavretsky, E.S. Epel P. Siddarth, N., Nazarian, N. St. Cyr, D.S. Khalsa, J. Lin, E. Blackburn, M.R. Irwin; A pilot study of yogic meditation for family dementia caregivers with depressive symptoms: effects on mental health, cognition, and telomerase activity. International Journal of Geriatric Psychiatry, Volume28, Issue1, January 2013, Pages 57-65. Lynn C. Waelde Larry Thompson Dolores Gallagher‐Thompson; A pilot study of a yoga and meditation intervention for dementia caregiver stress. Journal of Clinical Psychiatry, Volume60, Issue6, June 2004, Pages 677-687. The report¹ cited to the left is one of many, going back decades, that ascribe a heightened incidence of anxiety and depression to those who provide dementia care, whether in a professional or a family setting. Unfortunately, most of these studies stopped at the reporting stage without giving much in the way of advise for living with this phenomenon. More recently a number of investigations have attributed a decrease in the severity of these symptoms in care providers to various forms of meditation. ..meditation may offer considerable promise as a safe and cost-effective intervention for reducing stress and for improving cognition, mood, sleep, and related outcomes in adults with or at risk for cognitive impairment. If future studies show meditation to be effective in reducing stress and improving cognition and related outcomes in adults at risk for AD, it may offer a novel, safe, and low-cost approach to preventing or slowing cognitive decline in this population, and ultimately help reduce the significant health and economic burden associated with AD. 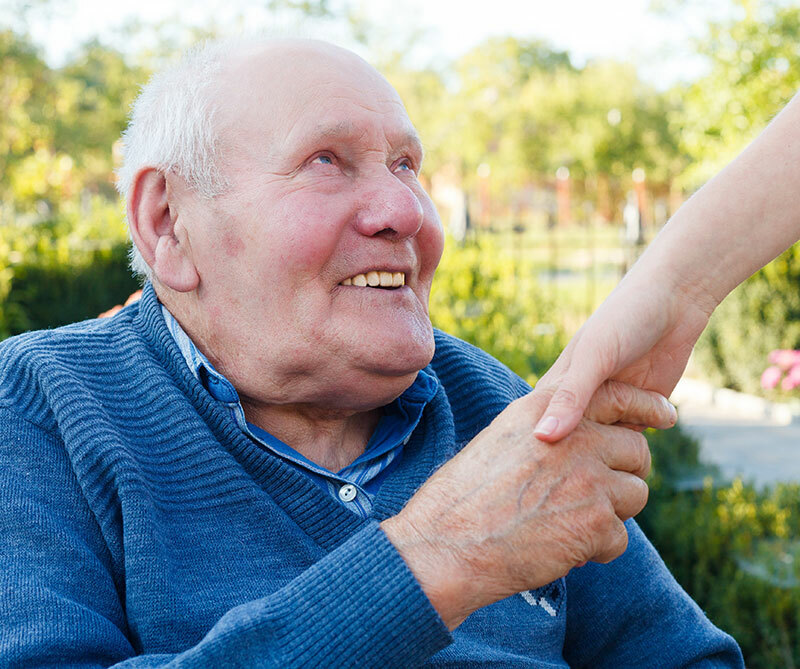 August 21, 2013 95 Hogewey Dementia Village | The Future of Dementia Care?